The start location at the Holiday Inn Express is conveniently located close to the 25th street exit of US22 in Easton, PA. Events hosted at the Holiday Inn will include breakfast and a meal after the finish, but if that's not enough there are many restaurant possibilities nearby. Choices include the Cask Taproom next door, Tacos Y Tequilla, and several chain restaurants all within walking distance. There is also the nearby Tic-Toc Diner, which opens at 5AM, and the 25th street Wawa open 24 hrs. Although there is some shared access to a hotel guest room, riders are advised to book private rooms at or near the start/finish. Please don't try to drive a long distance before or after a tough brevet. Make your own reservations by directly contacting your chosen hotel. The start/finish hotel is the Holiday Inn Express at 90 Kunkle Dr, Easton PA. PA Randonneurs will have a group code there. Should you want to stay at the start/finish hotel, reserve your room early! The block of rooms is limited and group codes expire 30 days before the event. Another option that is an easy bike ride away is the Quality Inn at 2415 Nazareth Rd. Further out, there several other hotels in Easton you may choose from. Join us in the buffet in the conference room at the Holiday Inn to recount your tales of joy, woe, and epic adventure (some of which may even be true). There will be access to a shower, allowing you to clean up after the ride, as well as rest rooms at the hotel. A limited number of bunks will be available for "safety naps". If you need full overnight accomodations, please book a room for yourself. Starting on what should now be a familiar leg northward along the Bushkill Creek on the Two Rivers Trailway we head toward the Appalachian Mountains and the first control at Wind Gap. From here, riders will cross the Appalachian Trail at the top of the ridge. You'll want to pay very close attention to the westward turn on Mountain Rd. It will be a long climb back up to the turn if you miss it. Heading west along Smith Valley, the route soon joins what many may recognize as the old Blue Mountain 400k route featuring a midway controle at Blondie's Restaurant in New Ringgold (well, Snyders actually). Riders continue to follow familiar roads westward with a few twists. We exchange the always scenic Summer Hill Road for a similarly scenic Schuylkill Mountain Road as we parallel the Blue Mountain. There is no control in Pine Grove, but riders may want (or need) to stop and replenish supplies as it's another 30 miles to the next controle. 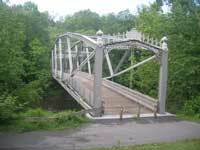 From Pine Grove, the route returns to the recently repaired Swatera Rail Trail for a gentle descent through the Swatera Gap and our second crossing of the Appalichian Trail. Upon exiting the trail, you wil explore new roads for a while as the route takes you to an open controle Palmyra. You can choose from one of several eateries along the route or a convenience store that is located 1 block off the route. Be sure to note which of the places you used for your controle on your brevet card. The route turns eastward from here, passing through several small villages along the way. With nearly 50 miles of riding to the next control, riders may want to stop and replenish along the way. There are good options in both Manheim and Lititz (the Bulls Head Pub is nice if you have time). Leaving Lititz, the route takes advantage of the recently completed Warwick to Ephrata rail trail to minimize elevation challanges for a while. The route is heading nearly due east from Ephrata, passing through Terre Hill and the Twin Valley to reach a control in Morgantown. Here riders rejoin the old Blue Mountain 400 route through the French Creek area to a Wawa controle in Pottstown. The route continues east to another Wawa controle Phoenixville where it makes a northward turn toward Easton, passing through the Evansburg State Park along roads some may recognize from another PA Rando brevet. The familiar roads are short-live as the route heads north to the penultimate control in Quakertown (not at the Hostel). The route picks up the Saucon Rail Trail in Coopersburg for a while before making a final push over South Mountain into Easton. A final push up the hill through The Children's Home of Easton will bring riders back to the start. Join your fellow randoneurs after the ride for pizza/pasta and to share your epic stories and tales, some of which may even be true, about the day's adventure as we gather at the Holiday Inn conference room. There are several steep, extended climbs and an endless array of non-flat roads on this route. A triple or 39x27 is highly recommended. 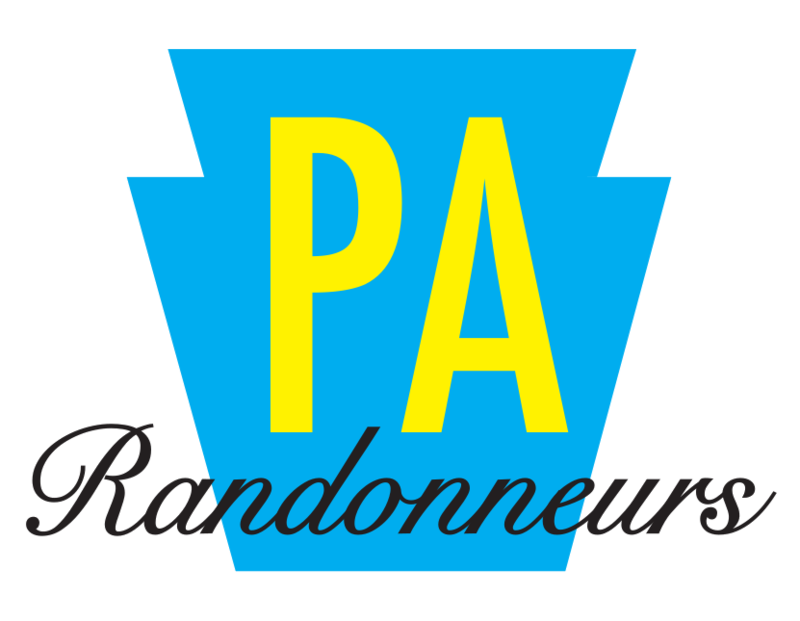 This ride is a randonneur style bicycle event under the sanction of Randonneurs USA and Audax Club Parisian. Completing this event can help you train and qualify for Paris-Brest-Paris and earn RUSA and ACP awards. A complimentary breakfast buffet will be provided before the ride, and a pizza/pasta buffet will be available after the ride. There will be shared access to a shower, allowing you to clean up after the ride. A limited number of bunks will be available for "safety naps". If you need full overnight accomodations, please book a room for yourself. No lodging is included, but PA Randonneurs has reserved a limited block of rooms at the Holiday Inn that riders may book. Contact the hotel directly. Use group code RB2. Click here to make reservations.